When it comes to the case against you, the state needs to show that you are guilty of serious and willful misconduct. First, we need to define the term willful misconduct to get an understanding of your case. If you need a Los Angeles serious and willful misconduct allegations attorney, you can count on Sacks & Zolonz, LLP to be by your side. Home > Blog > Was It Willful Misconduct Or A Mistake? When it comes to workers’ compensation insurance, we know that the system is necessary and in place to provide injured employees the help they need when it comes to covering medical expenses and lost income. When an incident happens in the workplace, it is vital that the employee knows they will be taken care of. That is part of what keeps employees coming to work – the knowledge that they will be okay if something happens. Unfortunately, there are times when employers make choices that are not the best when it comes to workers’ compensation insurance. If an employer does not provide this insurance, they can face serious consequences. Even worse, if an employer is facing fraud charged related to workers’ compensation, they could find themselves in serious trouble with criminal charges. One California construction company was slammed with charges in which the state claims it lost $6 million. If you need a Los Angeles serious and willful misconduct allegations attorney, you can count on Sacks & Zolonz, LLP to be by your side. When it comes to the case against you, the state needs to show that you are guilty of serious and willful misconduct. First, we need to define the term willful misconduct to get an understanding of your case. 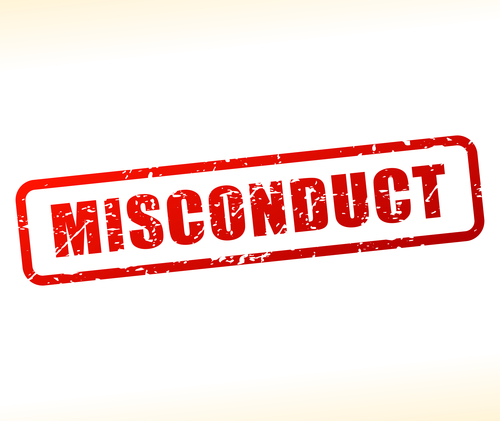 Willful misconduct is the conscious or intentional disregard of the rights or the safety of others; misconduct in which an individual is doing what he or she intends to do. Did your conduct cause harm to other individuals? Were efforts made to remedy the issues before charges were filed? Did you intend to commit the acts you have been charged with? The burden of proof is on the state when it comes to determining your guilt. There are times when an employer genuinely did not know that there was anything going on that they needed to correct. The penalties for having uninsured workers range from fines to jail time. If an employer is found to be guilty of committing fraud, the consequences can be even more severe. The owners of the construction company we mentioned above are facing dozens of felony charges and could serve up to 19 years in prison. There is no question about whether or not you need an attorney if you are facing uninsured employee or workers’ compensation fraud charges. At Sacks & Zolonz, LLP, our award-winning attorneys understand the complexities of these cases. We will sit with you and work out a plan to move forward. The ultimate goals are the get the charges against you dropped or to have them reduced and the penalties minimized. If you need a Los Angeles serious and willful misconduct allegations attorney, you can contact us for a free consultation by clicking here or calling 310-216-7778.